The Government of Nigeria, the world’s second largest importer of rice, has initiated a number of policy initiatives in the last few decades to boost rice production and processing in the country. Despite these initiatives, the country continues to import large quantities, as local production stagnates. 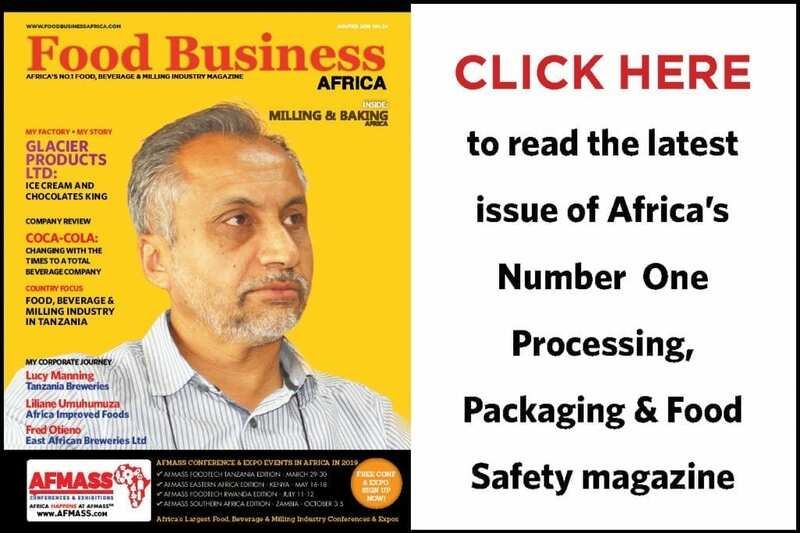 We review the rice production and milling sector in the country, and what the future holds. Rice is to Nigerians one of the important foods, consumed by the rich and the poor, as Africa’s most populous country seeks to feed its rising population. Even as the choice of food keeps changing and diversifying in the country, rice remains at the base of what Nigerians would consume on any regular day. Rice has weaved itself into a critical part of some of the most favorite foods in Nigeria, with some of the most popular rice dishes including the famous jollof rice (cooked rice with spiced tomato paste); plain rice that accompany many stews; masa (a fried dough made from rice flour and water); tuwo (rice flour that is prepared into a paste and is often eaten with soup); coconut rice (plain rice cooked with added coconut powder or milk); and many other variations. It cannot be left unsaid that rice is also used as a gift in many communities in Nigeria. Rice is Nigeria’s most important food and cash crop, providing vital food security and farmer incomes more than any other crop, according to the UN’s Food & Agriculture Organisation (FAO). The country is the leading consumer and second biggest producer in Africa and the second largest importer of rice in the world, after China. But this was not always the case. From the 1960s, rice was not a priority crop and food in the country, with the country lagging behind other West African countries in per capita consumption. Between 1960-75, per capita consumption of rice was a paltry 3 kg in Nigeria, way lower than the 21 kg that the West Africa regional average, while the country was producing 99% of its 179,000 metric tonnes demand. Rising urbanization, improving economic prospects and changing dietary preferences from the late 1970s into the 2000s catapulted consumption of the once for-the-rich commodity into the pots of the newly arrived urban poor, raising per capita consumption in the 1980s to 18 kg and 22 kg by end 1999. In 2016, it is estimated by the US Department of Agriculture that per capita consumption had reached 40 kg per person per year. Parboiled rice is the most common type of rice consumed in the country. The country has some of the highest increases in production and consumption since the 1970s (see Graph 1). The gap between local rice production and consumption has also increased significantly, slowing down somewhat in the last 10 years. In terms of production, Nigeria produced 280,000 tonnes of milled rice in 1970 while consuming 285,000 tonnes. By 1980, the country was consuming 850,000 tonnes while producing only 523,000 tonnes. In 2010, out of 4.8 million tonnes local consumption, only 2.8 million tonnes were produced within the country, meaning that the country has been forced to import more than 2 million tonnes per year for almost 20 years, despite rising local production over the years, losing US$2.5 billion in the process per year. Realizing the key role that rice plays in the country’s economic and food security situation, the Government of Nigeria (GON) has probably attempted some of the most well-known, often criticized, policy interventions to improve domestic production and reduce or eliminate importation of rice over the decades. From imposition of import bans, curtailing of foreign exchange availability to importers, tax breaks to local producers, schemes to reduce input costs and provision of financing to local farmers, Nigeria has tried some of the most wide-ranging efforts to fill the gap between local production and imports, with mixed results. The country’s quest to be self reliant has been a difficult one, not made any easier by surging demand for the commodity, as the urban dwellers and the rural folk take a liking for the convenience offered by rice to feed the over 180 million Nigerians. The Agricultural Transformation Agenda (ATA), debuted by the government of Goodluck Jonathan in 2011 and spearheaded by the famous Minister for Agriculture & Rural Development Dr. Akinwumi Adesina, focused on how to reinvigorate and make Nigeria’s agriculture sector more productive, efficient and effective, with a focus on promoting agriculture as a business. ATA set a target of creating 3.5 million jobs by 2015, generating foreign exchange, and reducing spending on food imports. A federal fertilizer procurement system, which came in handy to reduce pilferage and streamlining distribution and access across the country, was one of the key achievements of ATA. However, despite the government’s insistence on increased production, and Nigeria approaching ‘self reliance’, the quantities of locally produced rice has hovered around 2.8 million metric tonnes since 2010 according to USDA figures. The Federal Ministry of Agriculture & Rural Development (FMARD) however, estimates suggest that ATA produced an extra 1.2 million to 1.5 million tonnes of milled rice from about 3 million in 2011, when ATA was conceived, meaning that total domestic production of rice should have been between 4.2 and 4.7 million tonnes at the end of 2015. At the end of the government of Goodluck Jonathan’s term, the new administration headed by General Buhari formulated a new policy, the Agriculture Promotion Policy (APP) in 2016, which borrowed heavily from the ATA but with a mandate to reduce the supply gaps for major commodities in the country and raise quality standards to promote exports so as to increase the forex flowing into the country through the agriculture sector. The APP has placed rice at the top of the chain in terms of the key local crops to focus on, followed by wheat, maize, soya beans and tomatoes till 2018, before adding other crops and fish into the list. The program aims at reaching rice self-sufficiency in the country by 2018, to meet a projected 6.3 million tonnes of milled rice demand in the country. The government has also introduced a new policy initiative to build capacity of local processors to procure locally grown rice as part of the initiatives to boost local production. The Anchor Borrowers Program (ABP), which was debuted in late 2015 by the Central Bank of Nigeria (CBN), creates a linkage between anchor companies involved in the processing and smallholder farmers of a number of key agricultural commodities, including rice. 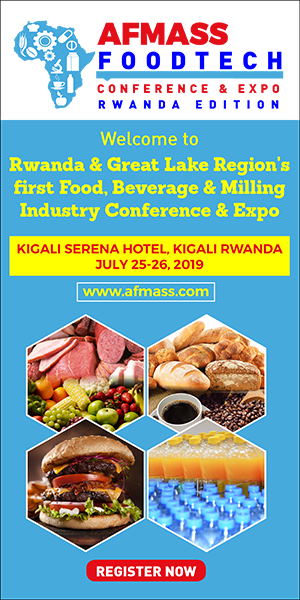 The ABP aims to create economic linkage between smallholder farmers and reputable large-scale processors with a view to increasing agricultural output and significantly improving capacity utilization of processors. The programme provides farm inputs in kind and cash to small holder farmers to boost production of these commodities, stabilize inputs supply to agro processors and address the country’s negative balance of payments on food. At harvest, the farmer supplies the produce to the agro-processor (anchor) who pays the cash equivalent to the farmer’s account. The program relies on the capacity of private large-scale integrated processors (and state governments) to off-take the harvested produce at the agreed prices with the farmers to succeed, and has received a number of high profile companies signing up for the scheme, including Olam, Dangote Group among others. Beyond production matters, policy interventions have also been introduced by the Buhari administration that have impacted the rice industry in the country, chief of which is the foreign exchange restrictions that were introduced in 2015. 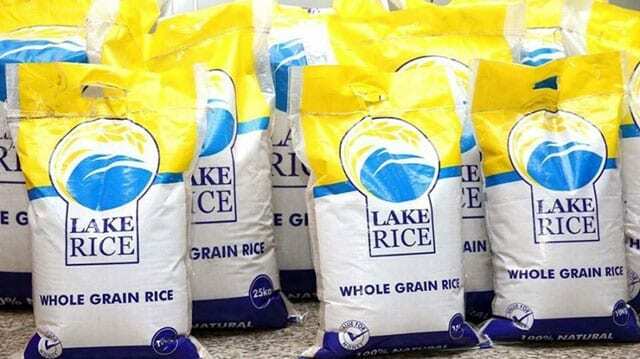 Rice was one of the 41 goods and services that were barred from accessing foreign exchange from official government channels. Though this measure has been relaxed somewhat, currency devaluation that has hit the country and the continued rise of imports has led to a reduction in local consumption, while making Nigerian domestic rice to be cheaper in the surrounding countries in the region. One of the biggest obstacles to the country meeting its local production and milling capabilities is also the huge quantity of rice that is imported illegally into the country. It is estimated that about 40% of the total rice imports (about 800,000 metric tonnes) are smuggled into the country through Benin and Niger. This can be illustrated by the sharp rise in rice imports by Benin, which was importing 180,000 tonnes in 2010, rising to more than double to 475,000 tonnes in 2017, with a particularly high 25% rise in 2015, when the Nigerian government instituted the forex restrictions on rice imports. The GON has encouraged backward integration of rice in Nigeria that has boosted private investment in domestic rice milling with an additional capacity of 1.2 million tonnes per year being installed in 2016. In November 2016, the Federal Ministry of Agriculture & Rural Development announced a plan to facilitate the procurement of 40 new large integrated rice mills to boost the uptake and processing of rice in the country. According to GAIN, 24 large-scale industrial millers process only 12-24% of the domestic rice. Small and medium scale millers that dot the country, mainly in the key rice growing regions of the north and northeastern regions of the country, process the rest. The main rice importing conglomerates, which handle more than 90% of the rice imports into the country officially, continue to receive lower import tariff of 30% as compared to 70% for other rice importers, as the GON gives them a lower import duty to encourage them to boost their investments in domestic processing of the grain. Capacity utilization by the majority of the integrated rice millers, reported to be below 25%, is a serious setback to the GON’s push to encourage more investors to join the Anchor Borrowers program and thereby provide market for the small-scale rice farmers across the country. However, Nigeria’s rice sector is still driven by small mills operating outdated mills and applying mostly traditional methods. It is estimated that 10,000 such mills exist in the country, each averaging 1 tonne milled rice per day, and responsible for about two-thirds of the total domestic rice processing, or some 1.8 million metric tonnes per year, according to GAIN. These mills however, produce low quality grain with a high percentage of broken grains, leading to the preference of mainly urban dwellers to seek out imported rice which are cleaner and longer, further aggravating the imports problem. Medium scale millers have fairly sophisticated equipment and are able to utilise their mills more effectively due to their smaller size and close proximity to farming communities, and due to the fact they also act as traders, supplying excess produce to either local markets, NGOs or even into the regional markets. “To attain self-sufficiency in rice, stakeholders note that it would take several years of effective policy implementation, funding in seed development and paddy production, and infrastructure investment,” says a report by USDA. Rice trading and processing is big business in Nigeria, and recent moves by major conglomerates to invest in integrated rice value chain and processing bodes well for the country, if domestic production can be streamlined through their engagement with farmers across the country to improve yields and reduce wastage. A number of conglomerates have become major players in Nigeria’s rice importing, trading and milling industry, mainly producing parboiled rice. These include the Stallion Group, Wicklow Group and Olam Group among many others, who have already set up integrated rice production and processing units in the country. Africa’s richest man, Dangote has joined the long list of investors seeking to work with the GON to boost the sector. Dangote Group is making a five-year investment of at least $1bn to grow and process rice in seven Nigerian states, bringing sub-Saharan Africa’s biggest importer of the grain closer to its goal of self-sufficiency. Dangote Rice, a subsidiary of the Group announced in June its plans to grow rice on 150,000 hectares of land with projections to harvest 1.7 million metric tonnes of raw rice by 2019. The company plans to invest in seven northern states of Jigawa, Kano, Zamfara, Niger, Sokoto, Kogi and Adamawa, investing US$1 billion over 5 years. It will also build rice-processing mills with capacity to process up to 1 million tonnes of parboiled rice by 2019, with the first plant ready by early 2018. The country’s biggest rice processor and trader, Stallion Group through its Stallion Popular Farms and Mills Limited aims to increase its current capacity of 450,000 tonnes per year to 1.5 million tonnes, by increasing its integrated rice value chain and enhancing its milling activities, according to Group Director Hapreet. “Our vision has always been to preserve and enhance rice production in Nigeria by ensuring genetic integrity of seeds, encourage scientific agricultural practices and promote world-class processing techniques to emerge as industry benchmark for product quality,” he said mid 2016. According to a report by GAIN, the Group has 600 tonnes per day capacity plant, and another mill originally built to polish imported brown rice of the same capacity, with a total parboiling and drying capacity of 230,000 tonnes of milled rice per year. The other conglomerate with a focus on rice is Olam Group. Through their Olam Grains business line, the company in 2013 invested 19 billion Naira in a planned integrated 10,000-hectare farm with rice mill facility in Rukubi, Nasarawa State that targets to produce 36,000 tonnes per year of milled rice. The company’s Mama’s Pride and Mama’s Choice brands are already being sold in the country. Currently 3,000 farmers are engaged in the program, with a target of 16,000 by 2018. The Wicklow Group, another conglomerate player in the sector opened its new integrated rice farming and processing operation in its 25,000 tonnes per year mill, producing 16,250 per year of milled rice. Other investors in the rice value chain include BUA Group, with 200,000 metric tonnes per year rice mill; Milan Group, Golden Penny, Honeywell among a long list of companies. With these investments and the GON’s fairly consistent focus on boosting domestic production as well as processing of the commodity in the country, the rice sector in Nigeria is poised to grow to greater heights, contributing to the economic and nutritional benefits that the country so requires.